TimeShareSoft – Rental Management Software Done Right! 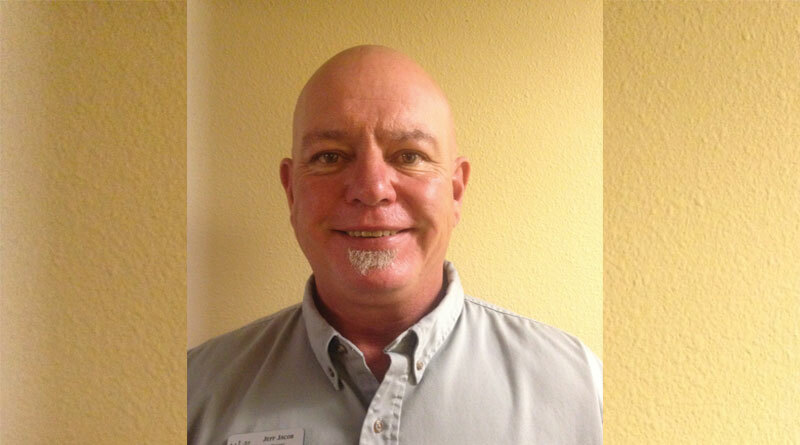 Jeff Jacob is the Director of Safety at Welk Resort San Diego, the company’s 741-unit flagship property in Escondido, California. He is responsible for the safety of 3,000 to 5,000 guests who are on the 450-acre property at any given time, utilizing its five recreation centers, eight pools, two golf courses, retail operations, multiple restaurants, and live theatre. From alarming the buildings, or dealing with everyday slips and falls, to orchestrating complex procedures required to ensure the safety of everyone onsite, Jeff calmly and efficiently oversees the massive property. He is also responsible for the development of plans and systems to facilitate immediate guest communications. Jeff was recently named a finalist in ARDA’s awards program in the Safety/Security Manager/Team category. During serious California weather scenarios – such as wildfires almost at the front door – he has played a significant role in maintaining a unified voice and keeping things calm, creating and communicating to guests about other emergencies procedures, including evacuation plans and potential power loss. He is also responsible for the resort’s security patrol team, transportation services, pool lifeguards, first aid, CPR and lifeguard training. Before joining the resort, Jeff was a San Diego police officer for 20 years, enabling him to bring structure and professionalism to his role. Merely his presence allows guests to feel secure in any situations. Standing at 6’5” and weighing in at about 250 pounds, some say he can be intimidating in appearance … but this is ideal when the right person is needed to dispel a disagreement. On the rare occasion that the local police may be needed, his past position has enabled him to partner well with local law enforcement. Should that happen, Jeff or one of his 25-45 full and part-time team members arrive within seconds to resolve an issue. His extensive law enforcement experience equips him with tools to think and see clearly when others may be wanting to panic. His networking with local firefighters and law enforcement has created valuable partnerships that also benefit employees and guest safety. If any “Bad Guys” even think about heading his way, they might want to think again. Welk Resorts’ “Top Cop” was the 1998 San Diego County Police Officer of the Year, the 1992 Pal-Police Athletic Volunteer of the Year for coaching under-privileged youth, an excellent marksman and worked in gang enforcement, crime prevention and as a swat team leader. Jeff took ownership of the goal of purchasing a San Francisco-type trolley to transport guests around the sprawling 450-acre property and to take them to special events off site. Today, the trolley is so popular with guests that some people jump on because they just want to enjoy the ride, which takes a half hour to loop around the huge property. His department frequently partners with Sales & Marketing for large special events. For two years, they have hosted a “winter wonderland” event bringing 0ver 2,000 people to the property. Organizing such an event is a massive undertaking, from parking, to guest safety. Jeff’s decades of experience with large crowds as a police officer ensures that everything will run smoothly without a hitch. When not in his “head cop” role, the Chicago native keeps toned with weight lifting and exercise. He says working with a company that truly supports him has been an added blessing. His 28-year old daughter is a Navy sailor of ten years; his 19-year-old son plays baseball at Concordia University in Nebraska and his 21-year-old daughter is a medical assistant. His youngest is a 9-year-old daughter. He has three grandchildren. After five years in his current role, Jeff is totally immersed in the importance of customer service, a philosophy not normally found in police departments. Welk’s Top Cop enjoys collaborating with the entire resort staff as well as leading and mentoring his team members, knowing that he plays a pivotal role in their day-to-day success. He has visited other company resorts to implement safety programs he personally created, fine tuning them to fit their needs or resort size.